Havana Club, the leading rum in the super-premium category, has announced the launch of Havana Club Unión, the first-ever rum made to perfectly match a Cuban cigar, the Cohiba Siglo VI. The new expression is the latest prestige product in the Havana Club Icónica Collection and will appeal to rum and cigar connoisseurs seeking to experience true Cuban culture. Havana Club Unión joins two of the world’s most revered luxuries (Cuban rum and cigars) and their shared heritage and provenance. The launch marks a collaboration between two of the industries’ most passionate characters, Havana Club’s Maestro Ronero, Asbel Morales, and Cuba’s most renowned Cigar sommelier, Fernando Fernández. Together they have crafted the perfect blend of Cuban heritage, tradition and know-how. Asbel Morales has been inspired by the process of how tobacco leaves are aged, blended and matured, to create Havana Club Unión. By selecting small batches of rare rums that have been repeatedly aged and blended, Morales has created a prestige rum that beautifully marries the smooth and powerful flavour of the classic Cohiba Siglo VI cigar. A premium cedar wooden box houses the expression, and features the logos of Havana Club and Cohiba together in an elegant combination of black and gold colours, bringing the luxury character of the expression to life. The bottle’s clean and round design is in line with the distinct shape of Havana Club’s award-winning Icónica Collection, which includes the brand’s most prestigious rums; Havana Club Selección de Maestros, Havana Club Añejo 15 Años and Havana Club Máximo Extra Añejo. Jérôme Cottin-Bizzone, Managing Director of Havana Club International, comments: “This is a very exciting time for the ultra-premium rum category, and the launch of Havana Club Unión helps strengthen our position in the category. Our Icónica Collection is now even more appealing, and we’re confident that consumers looking for quality extra-aged drinks with great authenticity will be drawn to Havana Club Unión”. Asbel Morales, Maestro Ronero for Havana Club, comments: “Havana Club Unión and Cohiba cigars represent distinguished expressions from the same soil and authentic tradition; their shared origins and rich heritage make them natural partners. It was an honour to collaborate with Cigar Sommelier Fernando Fernández to create this prestige rum, which presents notes of sweet vanilla, chocolate and dried fruit flavours”. Havana Club Unión has a 40% ABV and is a permanent addition to the brand’s Icónica Collection. The expression will be available in more than 15 countries, including Cuba, China, Peru, Germany and Mexico. Colour: Havana Club Unión distinguishes itself by an impressively deep amber glow as testimony to its long natural aging. Palate: Softly woody on the palate, Havana Club Unión is accented with sweet vanilla, chocolate and dried fruit flavours. Perfect serve: Havana Club Union is best enjoyed by rum connoisseurs as a slow-sipping rum, neat or on the rocks. For the ultimate tasting experience, it is best paired with a Cohiba Siglo VI cigar. The presentation looks wonderful and the pairing combination sounds like it will provide a great experience. We are big fans of Havana Club at Rum Diaries Blog and if miracles do indeed happen and we get to try this wonderful sounding Rum, and even the Rum and Cigar pairing experience, we’ll be sure to post our findings here! 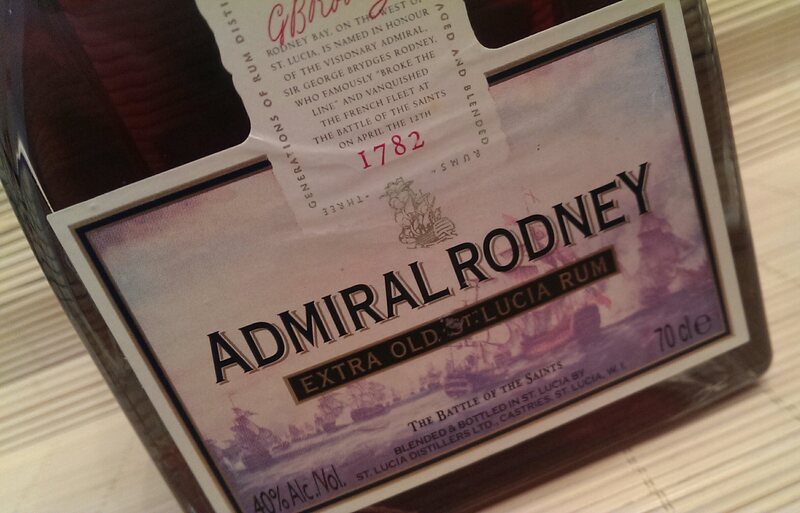 As a continuation of the mini-series of posts centering around the Rums produced at St Lucia Distillers, this article is all about Admiral Rodney Extra Old St Lucia Rum. 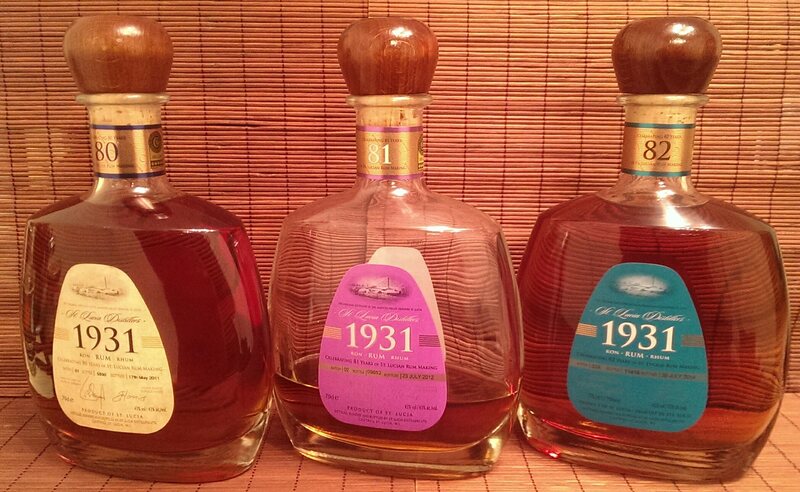 I would suggest a quick read of the earlier article on Chairman’s Reserve Rums to give you an insight into the range of Rums produced by St Lucia Distillers. Now you’re back, we need to find our exactly who this Admiral Rodney chap is. Born on 13th February 1718 in Walton-on-Thames, George Brydges Rodney was a British Naval Officer. He is known for his commands in the American War of Independence and in particular, his victory over the French at the Battle of the Saints in 1782. He is also thought to have pioneered the tactic of ‘breaking the line’ which sees the British Navy with its superior firepower concentrate on specific parts of the enemy fleet, preferably the rear, to break down the enemy line as the centre will lose time by turning to support the rear. Moving on, in 1761, Admiral Rodney was elected MP for Penryn. Lord Anson then selected him to command the naval element on a planned amphibious attack on the lucrative and strategically important French colony of Martinique following a similar failed attack in 1759. The land forces were to be a combination of troops from numerous locations including Europe and additional reinforcements were sent from New York who were available following the Conquest of Canada in 1760. During 1761, Martinique was blockaded by Sir James Douglas to prevent supplies and reinforcements from reaching it. Within the first three months of 1762 Rodney had made serious movements towards capturing Martinique whilst both St Lucia and Grenada had surrendered to him and his squadron. Following the Treaty of Paris in 1763, part of the peace terms saw Martinique returned to the French. By the spring of 1782, the French fleet had its eyes fixed on the Caribbean sugar islands. Admiral Rodney was aware of their intentions as from his vantage point on St Lucia he saw the French fleet depart for Jamaica. He pursued and confronted the fleet on 12th April, beginning the Battle of the Saints. The two fleets were in line on opposing courses when a change in wind direction confused the French and gaps began to appear within their line. Spotting his opportunity, Admiral Rodney ordered his ships to turn 90 degrees and break the French line allowing the English guns on both sides to bombard the French with little chance of reprisal. As the French line could not be reformed, Admiral Rodney was victorious. Anyhow, that’s it for the history lesson…..
Admiral Rodney is a blend of 100% column still Rums that have been aged in used bourbon barrels for an average of 12 years. The blend itself utilises Rums taken from a number of plate levels on the two column Coffey Still at St Lucia Distillers and will include RS 203 (Roseau Spirit 203) and RS 204 (Roseau Spirit 204) with their medium and high levels of congeners as mentioned in the previous article, but all Rums within the blend will have been chosen specifically to add to the complexity of Admiral Rodney. 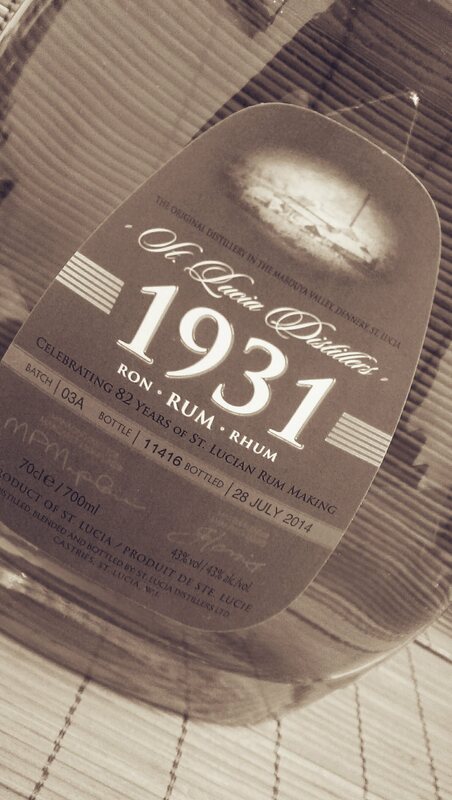 Apparently it is also the intention of St Lucia Distillers, as they gain more aged stock, to increase the average age of the blend to 15 years. 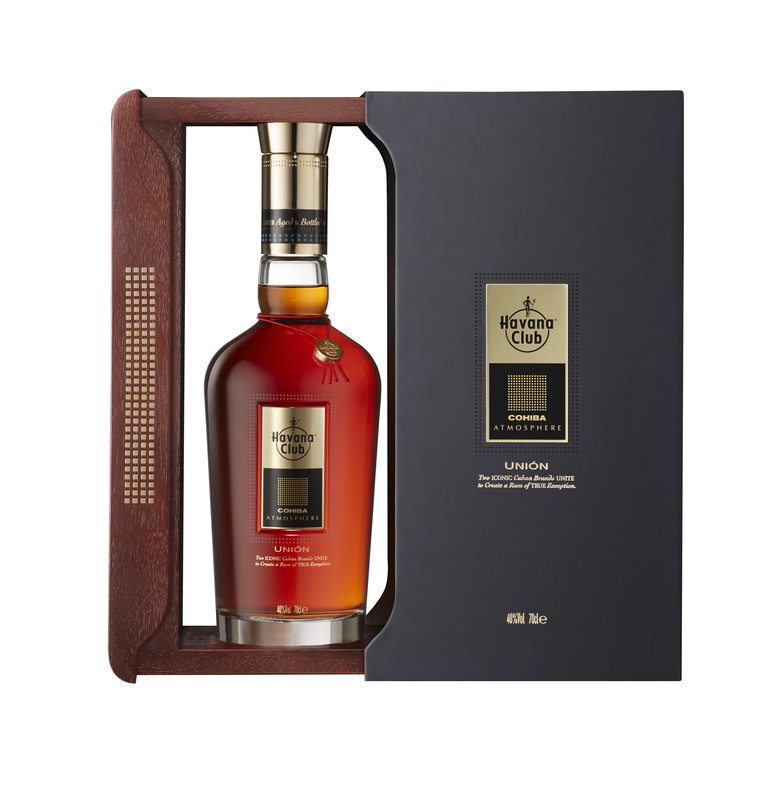 In the glass: The Rum is a dark coppery bronze in the glass and the initial aromas are of deep vanilla, oak, cherry and toffee. 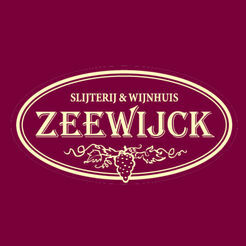 There is also a dryness to the aromas coming from the oak. Dried fruits like raisins, banana chips and apple pieces are also apparent and there is a spice tingle to the Rum. I can also smell pear spirit and bourbon. Longer time in the glass reveals leather and peanuts. I’m expecting a meaty, deep Rum…. In the mouth: There is an initial sweetness but that dries quite rapidly. The mouthfeel is not as thick as expected when comparing it to the nose as it has a medium body. There is a light caramel and plenty of oak followed with nutmeg on the tip of my tongue there is a peppery bite to the Rum. That dried banana, apple and those raisins and peanuts come back into play alongside light vanilla. The oak is really dominant on this Rum but it does allow a good balance between the sweet and dry. It just needs a little more punch. I think that I expected a little more from the flavours given the intensity of the aromas so my initial thoughts were slightly subdued due to what I found. (Note: I revisited my initial three nights with further visits to the bottle over week later). Given time, the pear spirit is more apparent along with a touch of smoke. The Rum feels sweeter, calmer, woodier and I am enjoying it a lot more on this occasion. The spices and wood are well-tempered by the spirit and it feels more complete and well-rounded. The finish is of a medium length and starts spicy but ends with oak and lots of banana. This is my second bottle (I inhaled the first a few year back prior to deciding to write about Rum) and I still believe that the aromas promise something really deep and heavy but the flavours lack some meat on their bones that maybe a little addition of a pot distilled Rum would add, but that may just be me. 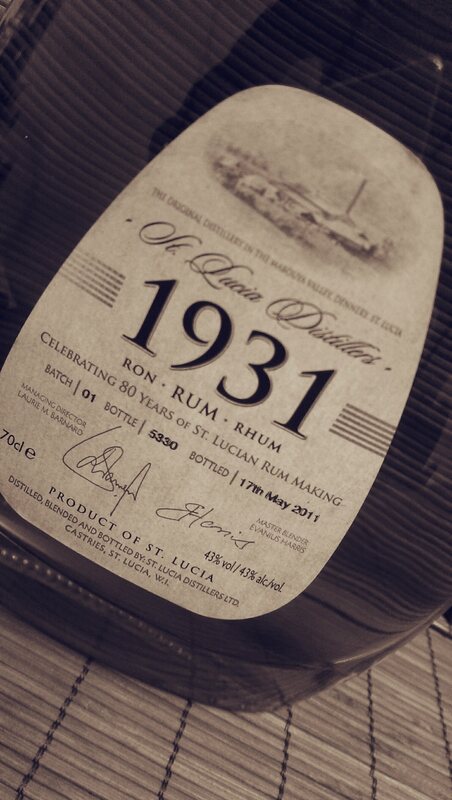 It is however one of the best examples out there of a very flavourful column spirit that offers a lot, gets better with repeated visits and continues the award-winning performance of Rums from St Lucia Distillers. I’ve never tried this Rum in any way other than neat, no ice, no mixers. That’s just how I enjoy it, but the extent to which I enjoy it does seem to be mood dependent. 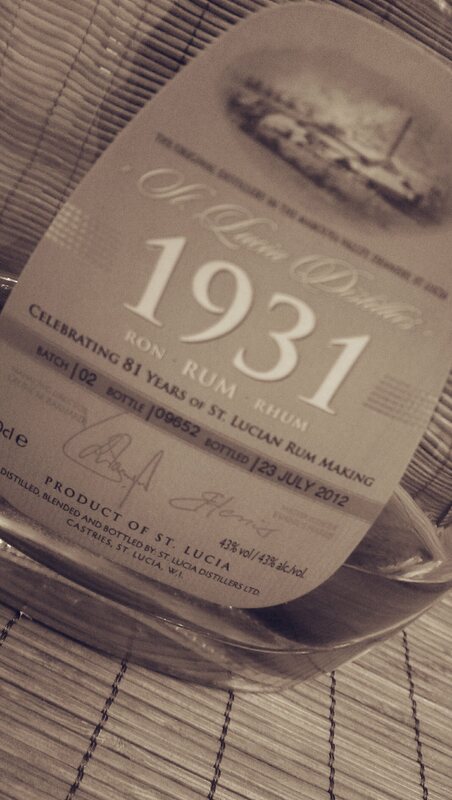 It sits at around £43 a bottle (I paid slightly more for both of mine as I picked them up from a local independent shop) and it is in a crowded price bracket with some amazing Rums…..what should give you a level of comfort though is the fact that I’ve not tasted a bad Rum from St Lucia Distillers yet on my Rum journey…..and long may that continue. Again, I’d love to hear your experience with this Rum. 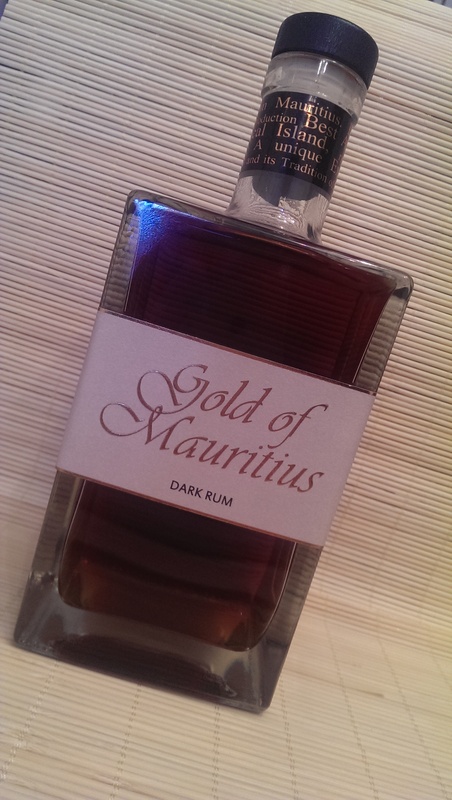 Readers and Subscribers will be more than aware that I have covered a few Rums from Mauritius previously, but this one is a little ‘different’ to say the least. 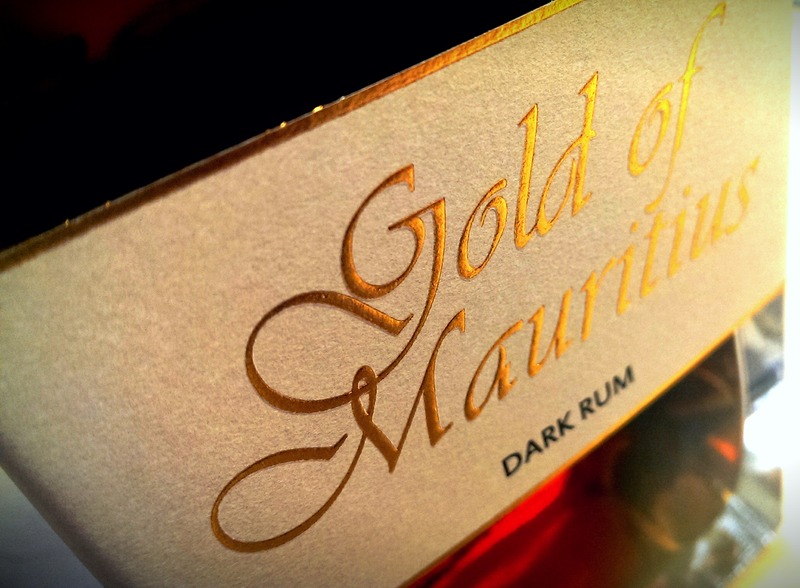 A chance meeting with Darius Burrows of Trilogy Beverage Brands gave me my first opportunity to taste Gold of Mauritius. Then whilst visiting the Boutique RumFest, we again got the opportunity to try the Rum and also to meet and talk to its creator, Frederic Bestel. It really is unlike anything that I have tasted previously, but first a little information on its creation. Frederic buys in specific unaged Rums from local distillers on Mauritius and sets about his unique maturation process. He buys in used Port barrels from South Africa. These barrels arrive in Mauritius with Port residues still inside them and it is within these barrels that he ages the as yet unaged Rums. As a general rule the process takes approximately 12 months although this is barrel dependent. Some barrels have far less Port residue and therefore require the Rum to be in there for around 15 to 16 months, others far less. Prior to bottling, around 10 to 14 barrels are selected, dependent upon how Frederic rates them in terms of maturation and flavour gained. Bear in mind that the wood used in South Africa for these barrels is not that great and if left in there too long, the Rum can develop an unwanted bitter taste. So Frederic takes these 10 to 14 barrels of Rum and blends them by hand to create the consistent flavour profile that he is looking for. Given the high temperatures in Mauritius, cold filtration was initially employed by Frederic but now he has amended his methods to use normal paper filtration at 5 Microns. The colour and flavour come from the time spent in the barrels and the Port influence, although caramel colour is sometimes used to ensure consistency between batches as the specific barrels used can often give the Rum an Orange, Red or Brown appearance. The profile is one that Frederic believes gives him his own identity, and I’d have to agree. 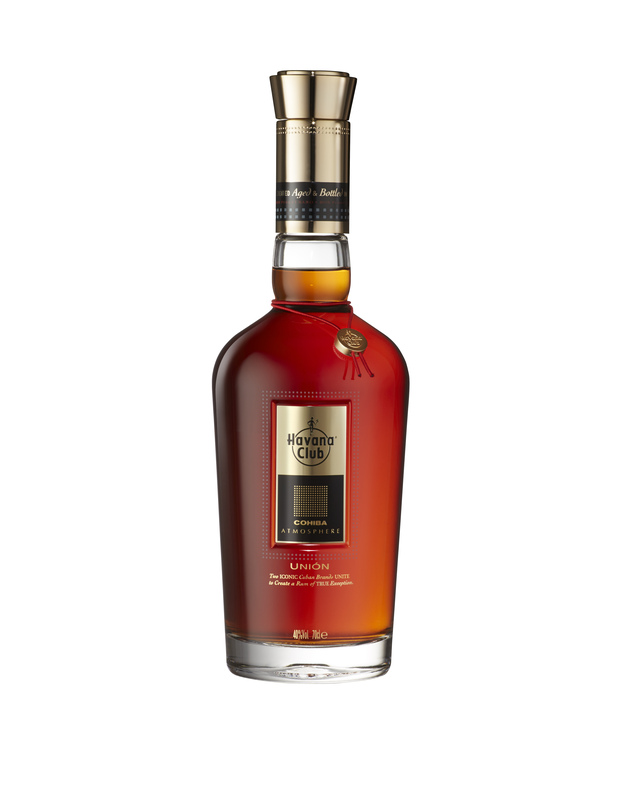 The wood influence is dialled down due to its bitterness and Frederic estimates that around 80% of the flavour profile is as a result of the Port influence with the other 20% as a result of the original unaged locally produced Rum. In the glass: The Rum is a dark mahogany brown / red and the initial aromas fight to jump out of the glass. Salted peanuts hit you in a big way along with chocolate and something that smells like sawdust! I would say that initially there is a bourbon like aroma to this Rum. Fresh figs, malt, cocoa beans and more of the salted peanuts round out the aromas. It has a really unique aroma, very inviting stuff, although it is not instantly Rum like. In the mouth: There is an initial sweetness to the Rum alongside a peppery spice. Instant nutty flavours are present, like a good quality chocolate bar with salted peanuts. There is also a heavy hit of coffee. Subsequent visits to the glass reveal chocolate pudding minus the chewiness, malted chocolate milkshake and freshly cracked black pepper. The chocolate and salted nuts play a big part in this Rum for me and alongside the salted peanuts there is something like freshly shelled hazelnuts. Strangely there is also a little bit of an Anejo Tequila taste to the Rum, maybe from the base Rums used. The finish is medium length and full of coffee, dark chocolate, those coffee beans coated in chocolate, and salted peanut butter. A very flavourful Rum. For want of a better phrase, this stuff is a little bit bonkers. It tastes like no Rum that I have ever tried before. It is almost not instantly recognisable as a Rum given its aromas. The chocolate I can only assume is as a result of the port residues in the barrels. 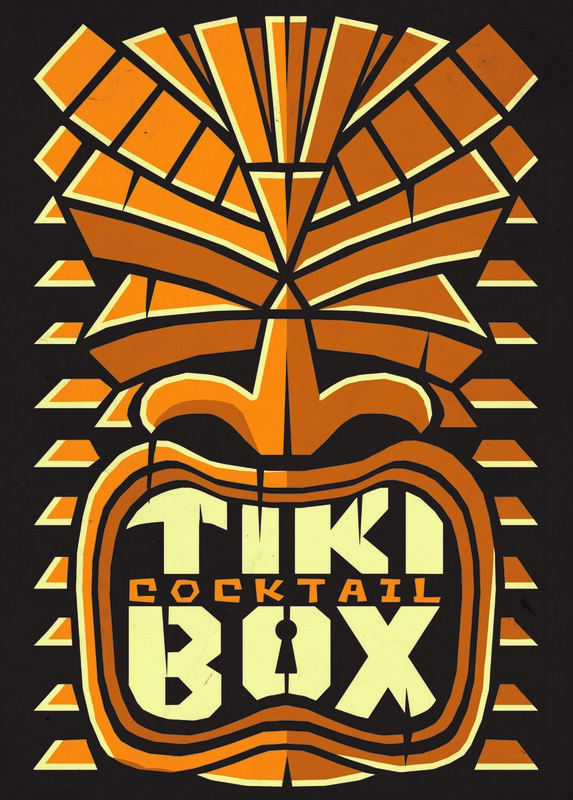 Definitely a desert Rum as this will dominate your palate for a while in it’s silken salty chocolate goodness. I often first try Rums in a daiquiri, but this one? Not a chance. I used this Rum in a Rum Old Fashioned with a dash of Black Walnut Bitters and it did the trick. It is massively easy to drink and so far out of my usual range of flavours that I have become rather fond of it. You can buy it in the UK from Cellar Door Drinks for just shy of £40. I would say that it has the ability to (when used by someone who knows what they’re doing) be the basis of some pretty unique cocktails, maybe a boozy milkshake alongside a coffee liqueur, though I enjoy it neat. If you have any experience of the Rum, I’d love to get your thoughts.